You’re in the market for a new sewage pump, you want the best, longest lasting, biggest, and highest horse power pump around. The bigger the pump, the better the performance, right? Wrong. This common misconception that bigger pumps equal better performance, leads to various issues related to pumps’ short cycling. Short cycling is generally caused when the pump that has been installed, starts and stops frequently, causing the pump to prematurely burn out. 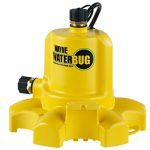 Use the tips below, to educate yourself on properly sizing your sewage pump, and save time from constant call backs to plumbers, and more importantly, flooded basements. 1.Before starting the sewage pump installation, or replacement, consider the system capacity. System capacity, normally determined by the requirements of the homes dwelling (number of bathrooms, kitchen, etc. 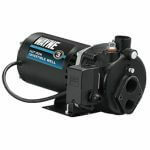 ), is extremely important when deciding the horsepower of the pump. 2.Determine the total dynamic head for the system. Total dynamic head, can be defined as the total amount of height that the fluid will be pumped, and is the sum of the static head and friction head. 3.Static head is the total change in elevation from the fluid level in the pit, to the highest point of discharge in the system. 4.Friction head is an additional loss created as water flows through pipes, check valves, elbows, and fittings. Friction is a function of the velocity of the fluid and changes with pipe size, flow rate, and surface roughness. 5.Consider the type of solids that the pump may encounter. No two sewage pumps are the same. One may handle solids up to 1 in., while another may handle solids up to 2 in. 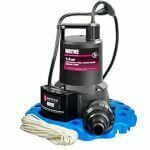 Improper installations, such as effluent pumps being installed instead of solids passing sewage pumps, can lead to pump failure and flooding. 6.Selecting the correct basin is extremely important when sizing and installing a new sewage pump. After you have properly determined the type (HP, construction, switch, etc.) of sewage pump you’ll determine if your basin will discharge from the top of the basin, or the side. The average basin depth is normally 24 in. for standard sewage pumps. 7.It is important to consider the type of impeller being used in the application as well. A. 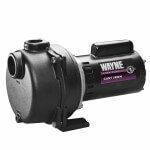 The vortex impeller is recessed inside the pump chamber, the spinning action creates a swirl that actually pumps water through the system. The advantage of the design, is that the impeller is not in the flow path, and therefore, greatly reduces the opportunity for clogging. B. The centrifugal sewage pump, in comparison, is more effective in moving water. However, the possibility of a clog is increased because all of the water pumped must pass between the impeller vanes. 8.Consider your pumping needs. Will you be installing a simplex system, or a duplex system? A. A simplex system, is a single sewage pump in a standard basin. This is your standard usage scenario for a level basement that is average in size, in a single family home. B. A duplex system, includes two sewage pumps in the same basin. 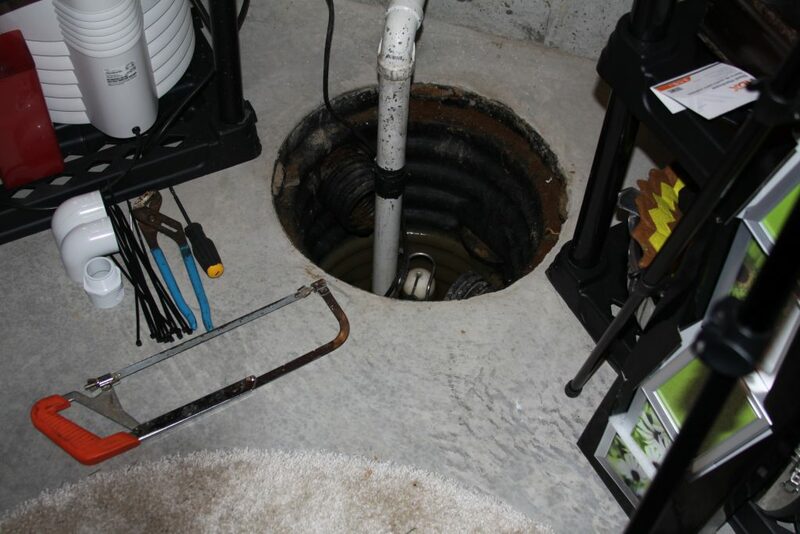 Consider a duplex system, if the customer has an above average sized basement, or encounters daily instances of high water usage. 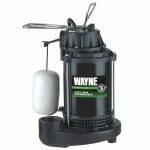 Duplex systems, often require the installation of a pump controller to allow the home owner to properly manage the usage of each sewage pump individually. 9.Finally, test the new sewage installation, to ensure maximum velocity is reached. Often times, improper pipe sizing, amongst other factors, can lead to sewage pumps failing to achieve the advertised GPM. Properly calculating the total fixture units (dishwasher, bathrooms, washing machines, etc.) 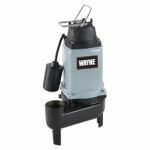 to find the correct pump capacity, will ensure that you’ve chosen the correct sewage pump for the job. 10.If more information is needed, select your pump system, based on the required flow rate and TDH to meet system demands. Most pump manufacturers publish performance curves indicating the flow and head capabilities of their products.